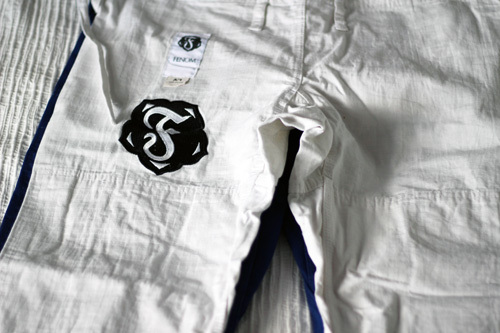 Original Jiu Jitsu brand, the secret handshake of the jiu jitsu clothing world, employs great use of fonts and subtle artistic styling to craft understated jiu jitsu clothing. I’m delighted to offer this Original Jiu Jitsu T-shirt review of two of their products: the Basic Black Tee and the Dia 25-04 Brasilia Tee. Both tees are priced at $25.00USD. Original Jiu Jitsu products celebrate the careers of leading jiu jitsu practitioners, in a subtle ‘in the know’ kind of way. A wee wink and a nudge to other jiu jitsu fanatics. The Basic Black Tee is a great understated garment for the jiu jitsu practitioner. 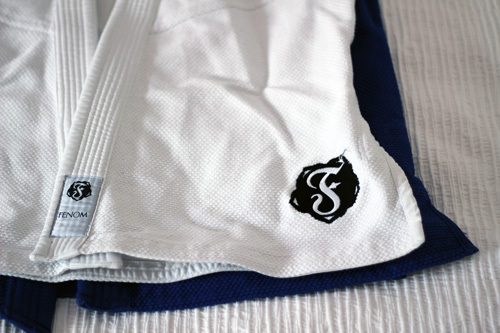 The Original Jiu Jitsu text logo script is present on the left chest and ‘NYC 1996’ on the right arm. This date commemorates the establishment of Renzo Gracie’s New York City Academy. The minimalist style of the tee lends itself to streetwear or activewear. Personally, I liked to team it up with my Fighter Girls Pinkie Boyfriend Shorts. I loved how the text subtly blended with the heather grey fabric, giving a really subtle finish to the tee. This top had a lot of use in the spring and summer and worked well with black skinny jeans. The Dia 25-04 Brasilia tee celebrates the historic Rickson v Zulu fight on 25 April 1980. And, I mean, Rickson, oh! – the smoothness. I know you feel me! Original Jiu Jitsu sent over two tees for consideration, the Basic Black Tee and the Dia 25-04 Brasilia. Both tees were in size small. The Basic Black in the ‘athletic cut’ and the Dia 25-04 in the ‘slim cut’. For me the fabric and cut of the Dia 25-04 worked best. For reference I am 5’5″/166cm and 135lbs/62kgs with a ‘V-shape’ body type. The Basic Black Tee is 100% cotton. 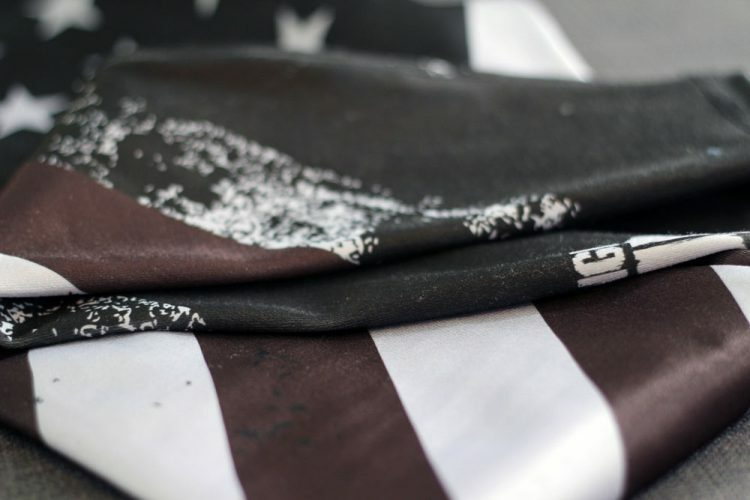 The Dia 25-04 is 60% Polyester / 40% Cotton. I like the idea of 100% natural fibres, but I preferred wearing the 60:40 polyester:cotton split. Between the slimmer cut and the stretch added by the polyester, the tee seemed to drape and hang better. 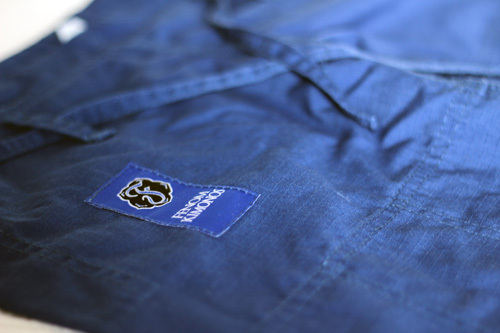 Same time, the 40% cotton provided breathability and softness. In contrast, the fully cotton tee was soft to touch but felt stiff when worn. Similarly, the athletic cut is more generous and felt boxy on my size and shape. Clearly, these comments reflect my personal tastes. Readers will know how they like their tees to fit around their own bodies. You will know too how your favourite tees are constructed and tailored. Let that knowledge guide your choice. Ultimately, if you’re looking for a stylish, affordable and good quality holiday gift for the jiu jitsu practitioner in your life, Original Jiu Jitsu offers tees and other gifts that speak to the jiu jitsu insider. When Rockin’ Green invited me to do a review of their sports detergent, I was skeptical. While I loved a lot about the brand – made in the USA, eco-friendly, family friendly – I wasn’t sure I could determine the efficacy of a detergent with my 5 senses and no laboratory, no controls and no team of microbiologists to confirm or deny Rockin’ Green’s cleansing power. Though true that I cannot offer a clinical review of Rockin’ Green’s athletic wear detergent, I can certainly share my thoughts on using the product and report the findings of my 5-senses, and I can assure you that my sense of smell was particularly delighted by the process. As a company, Rockin’ Green has a lot to recommend it. Founded by a mother and concerned Earth-citizen, Rockin’ Green soaps contain no harmful or skin-irritating substances such as petroleum by-products or artificial fragrances. The icing on the cake? Aside from producing effective and planet-friendly soaps, the family behind Rockin’ Green also rolls together. What’s that on the wind? A sweet-smelling BJJ-family, walking the walk of positive contribution. Rockin’ Green is available worldwide and you can find your local retailer on their site. 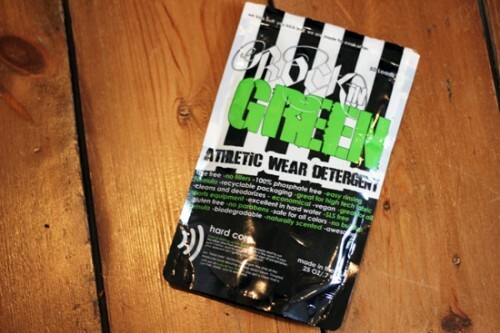 Rockin’ Green Athletic Wear Detergent retails for $15.95USD. I used Rockin’ Green to wash my Fenom Blue gi, as well as my gym kit and the detergent worked well with cotton and synthetics. The soap comes in a powder form, and it seemed to have dissolved and rinsed away completely; I could detect no powdery residue. I washed my items on a cooler 40C wash as well as 60C and was impressed with how well the Fenom’s colour held. This may be due to a number of factors, but in my experience coloured gi do loose colour quickly on the first few washes and it may be that Rockin’ Green worked well with the gi’s own colour fast properties. The best feature of the soap to me – apart from its credentials as environmentally friendly and made in America – was the wonderful fragrance. Rockin’ Green’s sports soap includes tea tree oil, which in addition to its anti microbial properties, leaves your stinkiest kit fresh smelling. This isn’t a heavy, artificial perfume – I don’t go for that and my sensitive skin gets very irritated by conventional brands and their perfumes – it is a subtle, clean, fresh smell. The coolest part, though, is that scent keeps going, even in the midst of a training session! There I was, sweating away and lo and behold, I caught a whiff of my gear near the end of my session and I smelled a light tea tree fragrance, not mildew or BO or any of the other malodours that typically waft off of well-used training gear. For me, while not founded on a solid clinical body of evidence, this was all the further convincing I needed. Many grapplers take a great deal of time over their hygiene – as they should! – and it is a bummer to start class smelling fresh and clean, only to be spreading a bacterial stench by the time the sweat permeates the cloth. My experience of Rockin’ Green was a much cleaner smell after a sweaty session, and that rocks. All reviews are based on my independent observations. I have no formal qualifications, I am not sponsored by any company and I do not endorse any one brand. If you chose a product based on my review, please let the manufacturer know that MegJitsu persuaded you. 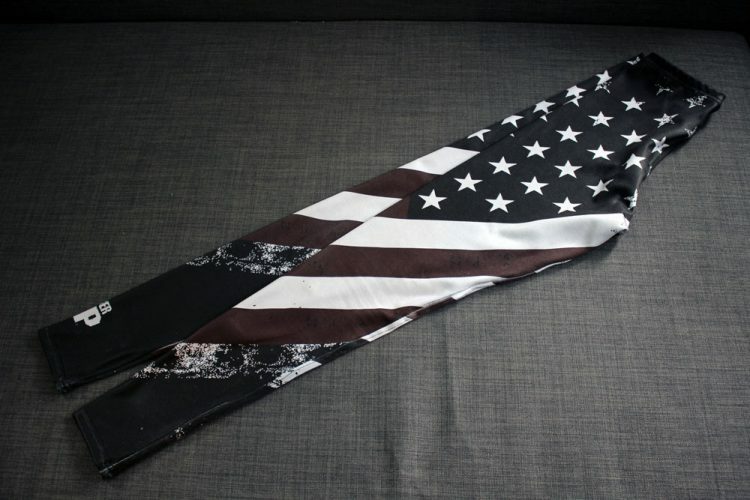 This will not benefit me financially, but can help me to get more cool things to review for you. Thanks to Rockin’ Green for offering me the soap to test and review. When you think of women’s cut gis, what do you think of? Fenom. Yes, there are some great offerings for women from a range of brands – and we thank you! – but there is no doubt that Fenom sets the bar for great-looking, affordable women’s gis. It’s what they do, gis for women and girls and this narrow focus helps them continue to craft better and better fitting gis for you and me (and Slideyfoot). I’ve had the opportunity to test and review Fenom’s Dark Blue Pearl Weave kimono. While I’ve reviewed Fenom’s Classic Black and their Lotus gis in their slim-cuts, this has been my first chance to try their ‘curvy’ fit. It is brilliant! As I’m still carrying a bit of baby-weight many of my old A1s are a bit tight and ill-fighting, however I’m not tall or broad enough to move up to an A2. Fenom solves this problem by offering a curvy cut, which is akin to half sizes in shoes. The curvy cut gi provides just a little more room particularly in the trousers so that ladies who carry their weight in their lower bodies can still get gi meant for their height. Just one of the ways Fenom keeps innovating for the benefit of their customers. The Dark Blue Pearl Weave retails at $100.00USD and this review is of the A1 Curvy. 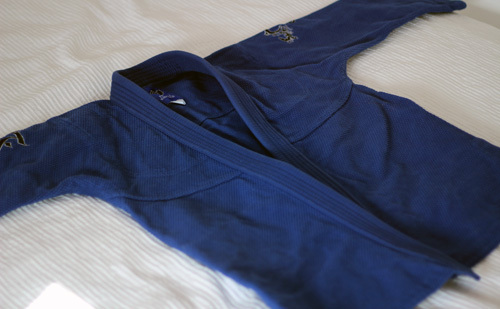 The Fenom Dark Blue Pearl Weave is a very minimal gi, with a single bit of flourish at the shoulders. 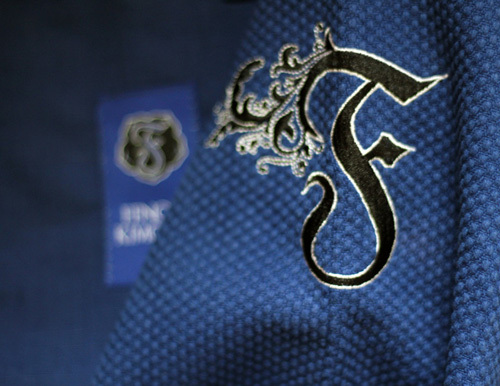 On each shoulder there is a somewhat elaborate ‘F’ embroidered patch. These are nicely executed and in my opinion add just enough ‘pizazz’ to maintain a minimal look without being bland. The colour is a rich dark blue and the embroidery is black with white accents. The trousers are ripstop and unembellished apart from a small Fenom-logo patch on the right upper thigh. I was delighted to have the opportunity to try the Fenom Dark Blue Pearl Weave in curvy fit, as I’m still working on the baby weight, so while I’m bigger here and there, I’m no taller. The following table illustrates the changes in my measurements. Thigh measurements at widest point. Waist measurement at narrowest point of torso. Before pregnancy I wore a UK10/27″ jean and a UK8 top, I am currently wearing a UK12/29″ jean and a UK10 top. The whole idea behind the curvy pants is: when we started offering mix and match options, most of the ladies went with A1 top and A2 bottom because they needed more room in the bottom. Instead of having them take the pants to get hemmed, we went ahead and made the shorter but wider version. It is half way to the next size. A1 top and bottom are the number one seller, followed by A2. 80% of total sales are A1 and A2 (and mix/match in these sizes). By far the biggest mix and match size is A1 top and A1 curvy bottom. From our data, it is not the gi top that determines the best fit, but it’s the pants. Making a jacket .5 inches slimmer or wider does not have as noticeable impact in comfort, but making small changes in pants makes a huge difference how women feel about their gi fit. I agree that trousers, rather than jackets, seem to be the hardest things to ‘get right’ when it comes to the sizing. For me, the body of the jacket on the Dark Blue is a little big, but the extra room in the trousers makes a perfect fit. At this shape and size, the regular A1 top with the A1 curvy bottoms would be the perfect combination for me. I love how this company has really listened to, responded to, and evolved with their customers. I’ve long harped on about how brands should offer mix and match to help more women fit better in their gi. Fenom listened. Then they took it further. They listened to their customers, they collected the data and realised that what women really needed was access to ‘half sizes’. I can’t name another brand that has put that sort of risk and effort into tracking and responding to women’s requirements for a great-fitting gi. Gi measurements after 3 washes – one warm 60C and 2 cooler 40C. No significant change from pre-washed state. When setting out to review the Dark Blue Fenom, my goal was to draw comparisons with the Fenom Lotus, as I have worn both of these and, as it happens, the Lotus is Fenom’s top selling gi, so perhaps this comparison can add helpful context for readers. While there are some similarities between the cuts, after discussion with Triin, I understood that this isn’t an apples-to-apples comparison as the gi jackets are crafted from two different weaves: the Lotus is a crystal weave; the Dark Blue a pearl weave. The crystal weave is a much softer fabric, while the pearl weave is much rougher. Many times it is personal preference. Some prefer an armor-feeling gi. Some like really comfy soft feel. Softer material is easier to grab, so we do not recommend it for competition. If you compete you want a real sandpaper gi so the opponent can’t grab you. It is all about the right tool for the job! Fenom’s curvy and slim fits and mix and match policy allow women to get the best fit for their personal shape. 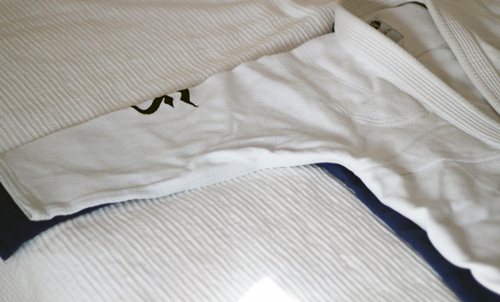 The range of weaves, lets you choose the right feel for how you want to use your gi, for comfy regular training, or for suiting up for competition. As someone whose shape has been through quite a few iterations over the last 3 years of pregnancy and parenthood, I’m personally delighted with the curvy fit which accommodates my height and weight much better than if I just moved up the weight range to an A2. Finally, Fenom-fans should know that Fenom Kimonos will be celebrating their 5th anniversary this May and there’ll be some great surprises coming up! Thanks to Fenom Kimonos for offering me a gi to test and review. Martial Herbs, British sports supplement outfit, shared two of their specially formulated products with me; Martial Herbs Recovery and Martial Herbs Strength. Martial Herbs is bringing unique herbal and homeopathic supplements to market aimed at the particular needs of martial artists. While some might suggest that HGH and steroids might be part of the solution to keeping your body in condition, some readers may prefer dietary supplements such as whey protein, or an alternative medicine route to complement ‘training intelligently’ and ‘keeping it playful’ for longevity on the mats. If so, Martial Herbs might be for you. Martial Herbs Recovery (£18) is a high quality aromatherapy massage oil. The ingredients of MH Recovery target pain relief and muscle recovery; nigella sativa, almond oil, lavandula augustifolia. Nigella Sativa, aka black cumin, has a long pedigree in alternative medicine and Martial Herbs’s claims of its antibacterial, immunological and analgesic properties seems supported by at least one academic study. So, the nigella sativa used in MH Recovery may help to reduce inflammation and muscular pain, keeping you fresher for your next session. MH Recovery uses good quality almond oil as its base and is naturally perfumed with lavender, used in aromatherapy to promote relaxation, a sense of wellbeing and to counter insomnia. I really enjoy using MH Recovery. Whether for self-massage on my legs and around battered knees or for roping in a willing set of hands to rub out the shoulders, it is a very nice quality massage oil. Very smooth and absorbs well and I personally love the scent of lavender, which gives the oil a pleasing aromatherapy quality in addition to its muscle calming properties. The Martial Herbs Strength (£22) supplement uses a concoction of herbs particularly important to Ayurvedic medicine to offer the best smelling supplements you are likely to come across. Zingiber officinale: aka ginger, has been used in traditional and alternative medicines for calming stomach complaints. 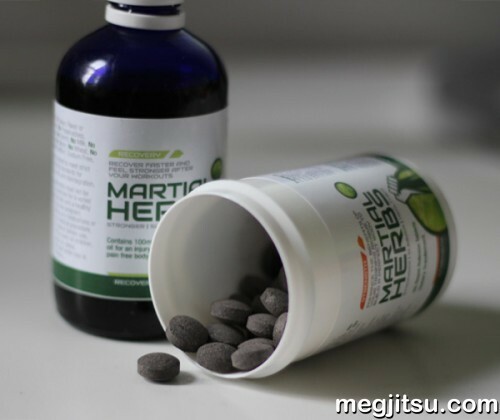 Martial Herbs is offering a unique set of homeopathic supplements targeted at the special needs of martial artists. MH supplements are particularly suited to practitioners interested in alternative therapies to help them maintain their fitness and enhance their recovery. All reviews are based on my independent observations. I have no formal qualifications, I am not sponsored by any company and I do not endorse any one brand. If you chose a product based on my review, please let the manufacturer know that MegJitsu persuaded you. This will not benefit me financially, but can help me to get more things to review. Thanks to Marital Herbs for offering me their supplements to test and review.